Check out my Video on the welding positioner that I built along with the rims that ithelped me build. Its been a long, but fun project. I think I have it finally diled in. Thank you to all who gave me allot of input on this project. Let me know what you think. 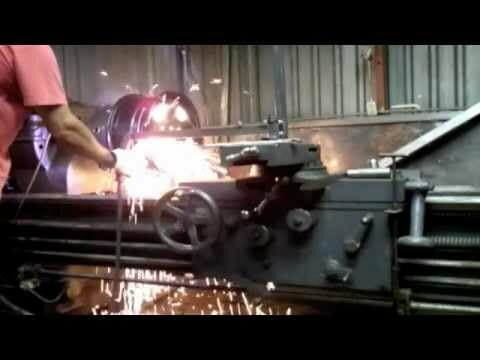 How are the ways on that big old lathe holding up to the cutting and welding debris? I watched a video of a couple of old geezers doing the same thing but they used the lathe tooling to split the rim. Either way, nice work. I dig it!!! Been thinkin about redoing a set of 17 steelies for my Accord. Similar mentality....No one sells it, make em yourself. The "Golden Arm" gave it that extra "**** yeah"
All times are GMT-6. This page was generated at 03:06 AM.